Rapid wetting action and fast flowing properties of RA 300 are the main characteristics of this flux-core formulation. Other important features include the non-corrosive and electrically non-conductive properties. RA 300 meets J-STD-004 / J-STD-006. 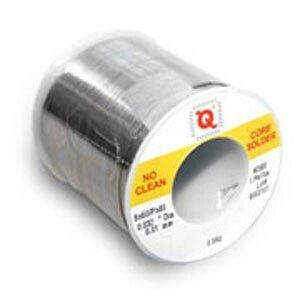 Qualitek SRA 500 is the supreme activated rosin flux-core wire. It is recommended for highly oxidized metals and difficult-to-solder metals. Meets J-STD-004 / J-STD-006.